Technology and a comfortable living go hand-in-hand. Although it might sound like a very expensive idea to replace the ‘not-so-techy’ gadgets with the technological ones, it’s worth your money. Let’s take Alexa for example. From telling you a hilarious joke to switching off the lights, the woman will do everything for you. Next, let’s consider the smart refrigerators. They allow you to manage your groceries in a rather fun way. Yes, these gadgets are heavy on the pocket but hey you can always opt for covers for at least some of them. Like you can search for best boiler cover for your not so cheap boilers. Mentioning boilers brings to my mind another smart gadget- the digital shower! Modern constructed houses now mostly have these in the bathrooms. Let’s have a look at all the advantages that a digital shower has over the normal one. How many of you can relate to the struggle of telling the whole household to not open the tap elsewhere because you were going to enjoy a warm bath? And how many times has the water gone from boiling hot to ice cold while you were showering? If you can relate to this, you are really missing out on this great invention in life. The digital shower addresses this issue. You can shower with a powerful jet of water that will not change its temperature. No matter who runs a tap in the kitchen, your water’s temperature will remain steady. Sounds too good to be true, doesn’t it! This should be reason enough for you to invest in this luxurious gadget. You get to control your shower using a remote. It is the digital world baby. Anyway, this means that you can control the operations of your shower including the temperature even when you are not inside the bathroom. If you look at the bright side of it, you can set the temperature for your morning shower from the comfort of your bed. And just jump into the bathroom to enjoy a comfortable bath. This also addresses a very important issue which is water loss. Imagine the amount of water that goes down the drain only because you were waiting for water to get hot by letting it run for some time. With the digital shower, you do not have to do so. A major concern for almost everyone when swapping gadgets is the fear of going through the installation process. Well with the digital shower, you do not need to worry about that either. These showers are very easy to install and manage. Therefore, you can swap your normal shower with the digital one with ease and comfort. The digital showers are compatible with many systems. This includes most of the heating and water systems in your house. This means that you won’t have to change any water or heating systems in your house when you take off the normal shower to replace it with the digital one. This factor makes the digital showers all the more convenient. 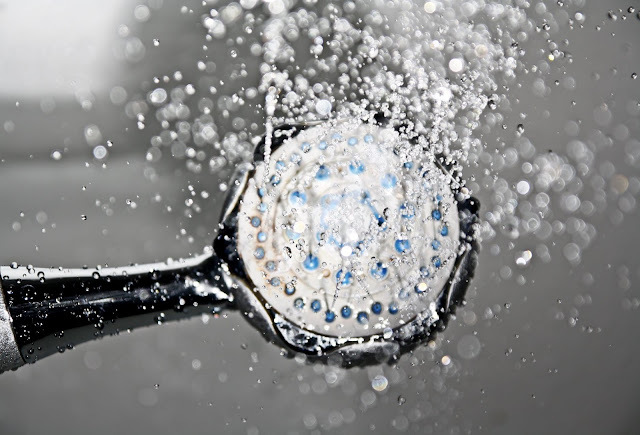 Whether you have an immersion heater or a combi-boiler, digital showers work well with them all. With the traditional showers, you often have to install the shower mixer along with the shower fittings. This gives your bathroom a rather noisy look. It doesn’t leave much room for other things. Hence, giving your bathroom a very congested look. But guess who resolves the ‘space-taking’ issue. It’s a digital shower. You do not have to see the sight of the ugly knobs that control temperature. Or the shower head. The digital showers are beautiful enough to make you wanna stare at them for a bit. Well, we have already discussed it. But let’s throw some light on some more points that make the digital showers easy to use. To begin with, you can control it through a remote even when you are not in the bathroom. However, there is more to this feature. You can even install the app and control the shower through your smartphone. Isn’t that great! I guess it is time for you to invest in a digital shower and see how your precious bath time transforms into a more relaxing time than before. You do not have to change any of your boilers. Which means that the previous Boiler breakdown cover will do. Everything about this product sounds cool.